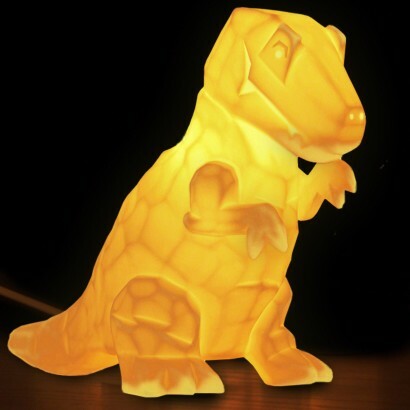 Dino mad kids will love this ceramic T-Rex lamp that illuminates at night with a warm comforting glow. 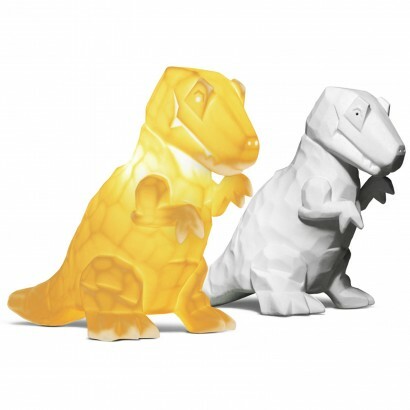 The body of the dinosaur is textured to give a unique effect and pin hole detail in the eyes and nose allow the light to shine through bringing your dino's features to life. More friendly than ferocious, this sweet dino lamp is ideal for use in kids room casting just enough light to read by at bedtime and to reassure at night.